Manila Airport all you need to know. Manila Airport is chaotic, no doubt about it! Manila Airport, just smile, it won’t take too long. The official full airport name is (Manila) Ninoy Aquino International Airport (NAIA) and is known by a number of names, Nino Aquino International Airport (NAIA), Manila Ninoy Aquino Airport, Manila Airport, Manila International Airport and Manila Philippines Airport. They are all the same so don’t get confused. I will refer to the airport as Manila Airport. Manila Airport can be quite daunting at first. When you arrive it feels like absolute chaos, especially if you arrive with a number of other fights. I will run through what you should expect when you arrive in Manila Airport and also how you will get through departing the Philippines in Manila Airport, but first a bit of information about Manila Airport. Need to be picked up or dropped off at Manila Airport? 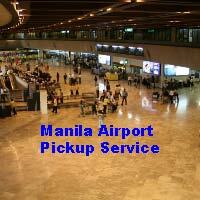 If you do not want the hassle of Manila taxis, then have a look here for Manila airport pickup service. Or click on the icon below for live support. One click away from live help! How Many Terminals Are there? There are two operational International Terminals at the Manila Airport and a third which is yet to be opened and a Domestic Terminal no more than 1 kilometre from the International Terminals. Terminal 1 is the original International Terminal and is known as the NAIA Terminal where all international flights arrive except Philippine Airlines (PAL). This is the terminal which you will more than likely arrive in. It is old and can be a challenge but I’ll get to that in a minute. The second terminal is known as Centennial Terminal. It is for the exclusive use of the Philippines National carrier, Philippines Airlines (PAL). The terminal itself is relatively new, opening in 1999 and is modern and spacious. It caters for both Domestic and International PAL only flights. Interesting enough the NAIA 3 was ready for operation in 2003. Now in 2005 it appears the opening of Terminal 3 is to “expected” by the first quarter in 2006. Due to a business dispute between the terminals contractor a German consortium and the Arroyo Administration the opening of Terminal 3 has been postponed on numerous occasions. In December 2004 the Philippine Government took over the management of the new NAIA Terminal 3 at Manila Airport. This Terminal 3 is significantly larger than Terminal 1 and was intended to take the place of the original terminal. I will keep you up to date as to when this Terminal 3 will eventually open. Roughly about 1 kilometre from the International Airport is along Airport Drive is the Domestic Airport. The Domestic Airport handles all of the domestic flights in and out of Manila excluding Philippine Airlines (PAL). When you get off the plane and into the terminal try and take a deep breath and relax. You have arrived, your patience will now be tested so please remember you are on holidays. Depending on what time you arrive will depend on how many flights will arrive at the same time as you. Hopefully not many. The first obstacle will be the lines into the immigration counters.You need to be able to show the immigration officials that you have at least six months remaining in your current passport and an onwards flight, if you do then you will be automatically allowed entry for up to 21 days without a visa. This can be renewed to 59 days and more, have a look at Visa Information for further details. Before you land at Manila Airport, you will be given a disembarkation card for your completion to and into immigrations, make sure you complete this on the plane before you arrive otherwise it will just hold you up. Once you pass through immigration you will come to the baggage carousels. In the baggage carousel a number of conveyor belts will bring you your luggage. Above each conveyor belt is a flight information board letting you know which conveyor belt your luggage will arrive at. You will be amazed at the amount of luggage the overseas Filipino workers return home with. Boxes and boxes of all the latest technology from overseas, these Balikbayans, overseas workers, are restricted to how much they are allowed to bring into the country, although looking at them at the baggage carousel you would not think so. If you have a reasonable amount of baggage yourself you can get a trolley for about 50 pesos. Here is where your patience will be tested. I have had to wait up to 45 minutes for by baggage to make it onto the carousel, I have heard of other who had to wait more than 2 hours! Just be prepared for a long wait with lots of people, all of which are just like you, trying there hardest to get out. Okay you have now been through immigration, collected a trolley and have also managed to find all your luggage and are now proceeding to Customs and you are still smiling! Be prepared to be searched, make sure your luggage is able to be opened up with little fuss. It is here you will need to present your Baggage Declaration Form. If you have items to declare, make sure you do, if you do not and the custom officials find them they will seize the items. It is here in the Manila Airport that you can change money if you need to. For more information on Money Changers have a look here. If you have not arranged for your hotel to pick you up and you need to arrange taxi transportation into Manila you can pre-pay inside the arrival lobby then join the queue for an official taxi to take you to your hotel. No one is allowed to enter the Manila Airport without special permission, so anyone who is waiting for you to arrive will be outside with the masses. If you are being picked up by friends or your hotel courtesy bus you will have to exit the main terminal and cross the road and go down a small ramp where you will reach the pickup point. Here you will notice a number of signs with letters of the alphabet on them. This will indicate where you should wait for your transportation, travel along the signs until you come to the corresponding first letter of your last or surname. This is where you will be picked up. Across the road is a fence which is where the masses wait for loved ones to return home. Now that you have arrived in Manila take the opportunity to have a look around. 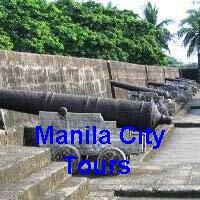 Have a look here for inforation on what to do in Manila. Okay you have just had the best holiday of your life in the Philippines, you are chilled, relaxed and use to the way things are done in the Philippines, right……well kind of. It is now time to leave the Philippines and to do that the majority of us will go through Manila Airport. It actually begins before you get to the Manila International Airport, you have to fight the traffic. Some days are better than others which are down right horrendous. Allow plenty of time, I always ensure I arrive by taxi to the terminal at least two hours prior to departure. Now you have arrived at the airport, it is important to remember that only passengers with a valid ticket for that day will be allowed to enter the terminal. This can be a long process, because before you enter the terminal you must pass through the first check point. Your first check consists of a guard ensuring you have a passport and a valid ticket before you enter the gate. If you only have an e-ticket the guard will not let you pass. If this does occur, track back about 20 metres where there is another door which lets you go direct to the International Airline offices. You will have to sign in downstairs with a security guard and then proceed upstairs to the various airline offices. Here you will be able to receive something satisfactory for the guard to let you into the terminal. Now you can proceed to the second check. Right, the next stage is as you enter the terminal. You will be required to pass all you baggage and effects through an x-ray and have a metal detector pass over you from all different angles and you may, if you are lucky, get a body frisk. Even though you may complain about the long queues and the endless searches, I feel the authorities should be commended for taking security seriously, after all it is your safety that is being protected. You have made it inside, now you have to find your check in counter. Once you have found your airline check in, you can show them your passport and ticket in exchange they will take your baggage, except you’re on board baggage and give you your boarding pass. Next you proceed to the Manila Airport Departure Tax counter, here you will be able to pay 750 peso for the privilege of having a boarding pass. They will staple another ticket to your boarding pass, confirming you have paid the Departure Tax. You will now need to fill in your Departure Card, which you may as well do in the long line as you wait your turn. Don’t forget to keep smiling! When you finally reach the Immigration Officer you may hand over your departure card. You have now made it through to the departure lounge. Here you can complete your last minute duty free shopping, buy something to eat and drink, the food is not that great, however the prices are. Before you go through to your plane for boarding you will be asked once again to present your bags for checking and you will be grateful for another body search. All in the name of security! This is the end of the road so to speak, it is time now to either board your plane for your long or short flight home or sit and wait till boarding is called, a time for reflection, sleep and fond memories……….